Click the button below to add the DC to DC step down with an output of 5V@5A to your wish list. 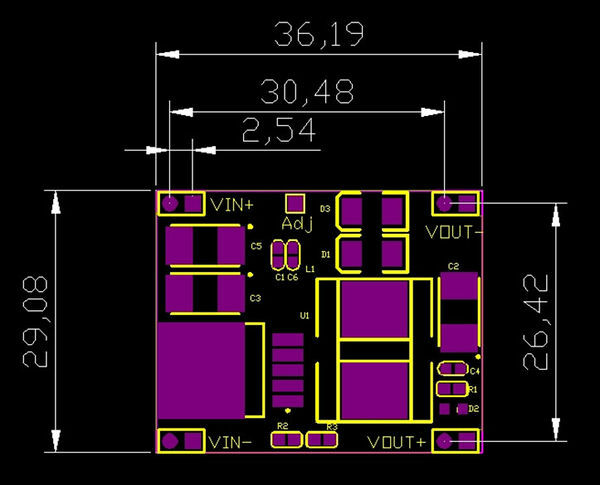 When we want to design pcDuino into a real product, we often come into situation where the system can only provide a single voltage, for example, 24V. This DC to DC step down module addresses the problem by allowing a single external system power supply. Maximum output: 5A (Please use a heatsink when it will need to contentiously provide 4A and above current.